Deputy prosecutor of Kyiv region was arrested by the National Anti-Corruption Bureau for stealing the produce from Ukraine’s Agrarian Fund worth UAH 300 million, according to Artem Sytnyk, the NABU director. The investigation of a theft of 30,000 tonnes of sugar from the state-owned Agrarian Fund led the NABU detectives to a deputy prosecutor of Kyiv region, with evidence showing that the official stole sugar worth UAH 300 million, the head of NABU said during parliamentary hearings on a status of implementation of the anti-corruption policy in Urkaine, an UNIAN correspondent reports. 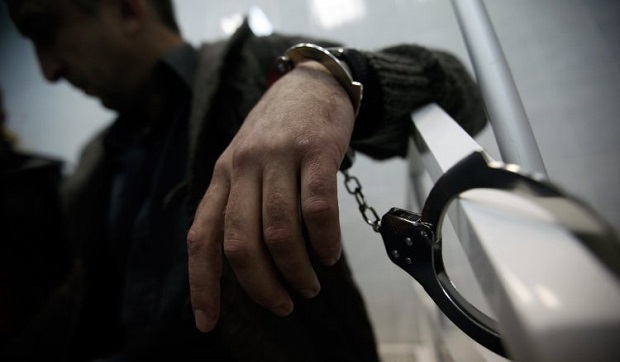 "Deputy prosecutor of Kyiv region has just been detained. In the probe over the theft of 30,000 tonnes of sugar in the Agrarian Fund worth UAH 300 million,” said Sytnyk. As UNIAN reported earlier, former deputy prosecutor of Kyiv region Korniyets and former first deputy head of the Main Investigation Department of the Prosecutor General's Office Shapakin were detained July 5 2015, for receiving a bribe in the amount of UAH 3.150 million. Read alsoSytnyk: PGO constantly seeks to blame NABUDuring searches of Shapakin's premises, $400,000 in cash was seized, while a significant amount of jewelry, 65 diamonds, and a Kalashnikov assault rifle were revealed and seized at the premises of Korniyets. On January 4, the Prosecutor General's Office forwarded the case against the so-called "diamond prosecutors" to the court.